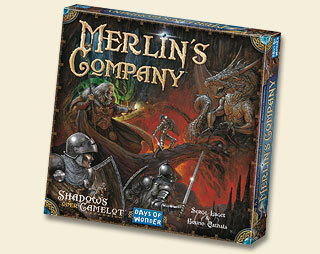 This expansion requires the original Shadows over Camelot board game. Other products in the "Shadows Over Camelot" series. A way to make Shadows over Camelot even more dangerous and threatening? Sign me up! This expansion has breathed new life into Shadows; a definite must-have for any player! This expansion makes the game enough tougher, but if you don't play hard, go home! Sometimes, Merlin won't help you and the evil cards are even more terrible. It is a must if you already own Shadows Over Camelot.